We are here in Kentucky, for the third time this year, for a bourbon event. Today, we will visit the Kentucky Bourbon Festival in Bardstown for a bit, before returning to Louisville and gussying ourselves up for a the The Great Kentucky Bourbon Tasting & Gala tonight. MY wife has a lovely dress picked out, and I will actually be in black tie – an event slightly less rare than Haley’s Comet. 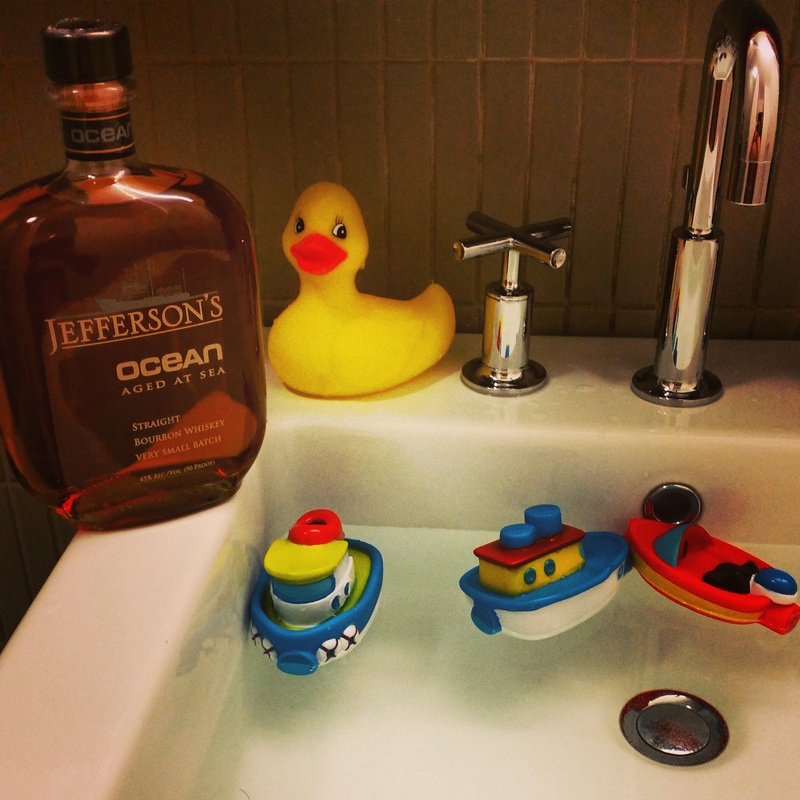 I’ll be posting more about it tomorrow, but for today, it’s the review of a bourbon I wanted to try for a while – the Jefferson’s Ocean II: Aged At Sea. Now, the story of the Jefferson’s Ocean is as interesting as anything. A few years ago, Jefferson master blender Trey Zoeller put a limited number of aged barrels on a ship, and let it sail around the world. Upon it’s return, they sampled and bottled it, and Jefferson’s Ocean was born. The reviews were good – some pointed out that the temperature fluctuations and rolling motion of being on a ship gave it a truly unique taste, while some even pointed out an almost briny salt water taste deep within. The nose was one of the sweetest I’ve ever experienced in a bourbon. Rich caramel, vanilla, brown sugar and a hint of what almost reminded me of banana creme wafted from the top. Oak woodiness around the edges, but the smell of this liquor made me anticipate a rum like sweetness. Two things struck me immediately at first sip: (1) this bourbon is far sweeter than I had expected, and so very smooth; and (2) the very thick mouth feel. This bourbon has an almost creamy, sweet feel, and rolls almost like a liqueur across the tongue. Again, caramel, vanilla, a touch of maple syrup blends with a touch of non-bitter spices and the oakiness of a well aged bourbon. Others have noted a salt or brine touch on this drink – I did not get that at all. I did get a good dose of dried or candied fruit, particularly citrus. The finish was very smooth, and the longer it sat in the glass, the more sweet it smelled. I don’t want to give the wrong impression – it’s not sweet like a rum or soda. But it definitely is for the sweeter palate, and that’s perfectly fine with me. I found it to be delicious. How did you hear about this fine bourbon????? Who pray ask turned you on to the Jefferson Ocean???? ?